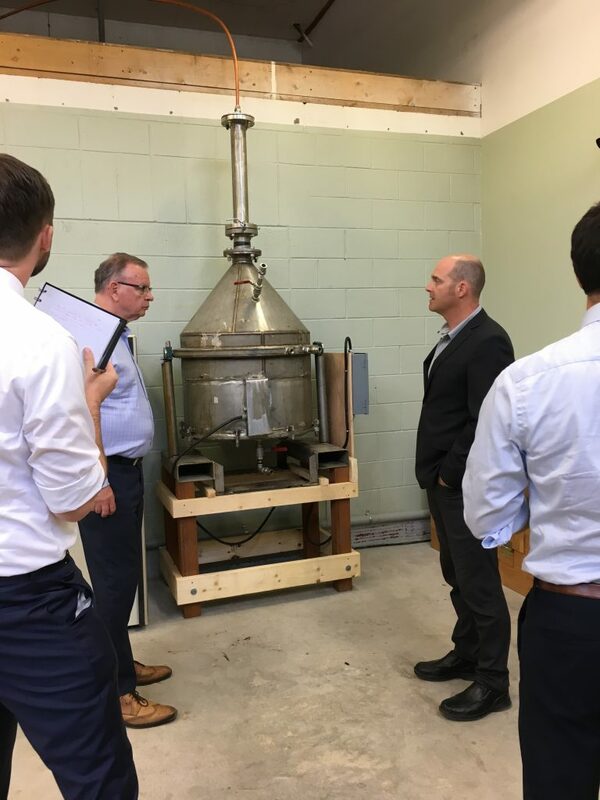 On July 24, 2018 the British Columbia Minister of Jobs, Trade and Technology, Bruce Ralston came to visit us. It was great to show him the upgraded setup at our new industrial location. First we had coffee and presented the business to him and his team. Then we toured the building and showed him our process for making lignin. He said he can see the value-add our lignin product can become to the forest industry. He also appreciated our zero carbon emissions process. Explaining the process through a presentation can never compare to the real thing. We toured the facility and showed the various processing stations to make the lignin. Using a solvent we extract the lignin from wood. Then we need to dry the lignin. 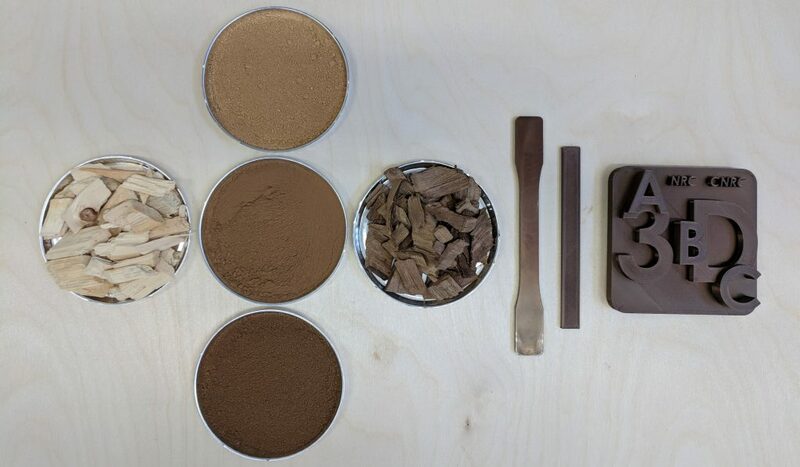 Following that, we can then test samples to make sure we’re getting the best quality lignin for our 3D printing filaments. Getting to touch and smell the various wood products we deal with at each stage of the process, makes it easier to understand. The worlds oldest polymer, lignin from plants, has a rich coffee scent when it’s been extracted from wood. All the outputs of the process are input back into the system to continue to work their green chemistry duties. We hired Ian Fry through the Green Youth Program. He’s our newest employee of the company and focusses on running Phantom and Christine, the machines we built to extract lignin. 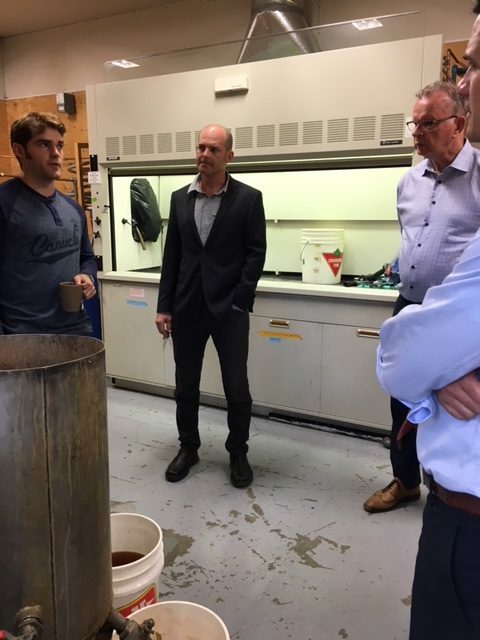 Explaining the process to Minister Ralston and his team, we can see how well Ian knows his job and what is required to make great lignin.